Move (Friday, February 1) kicks off the taproom’s free monthly event series. Are you ready to be in awe as you groove, dance, and drink? 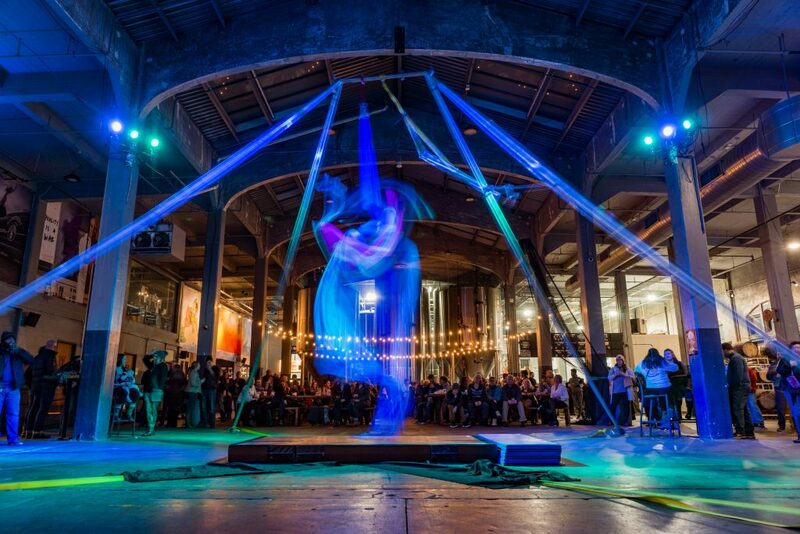 This Friday, February 1, from 6 p.m. to midnight, Rhinegeist Brewery will host Move, a free nightlong event where great beer collides with astonishing performances, dancing, and a charitable cause. 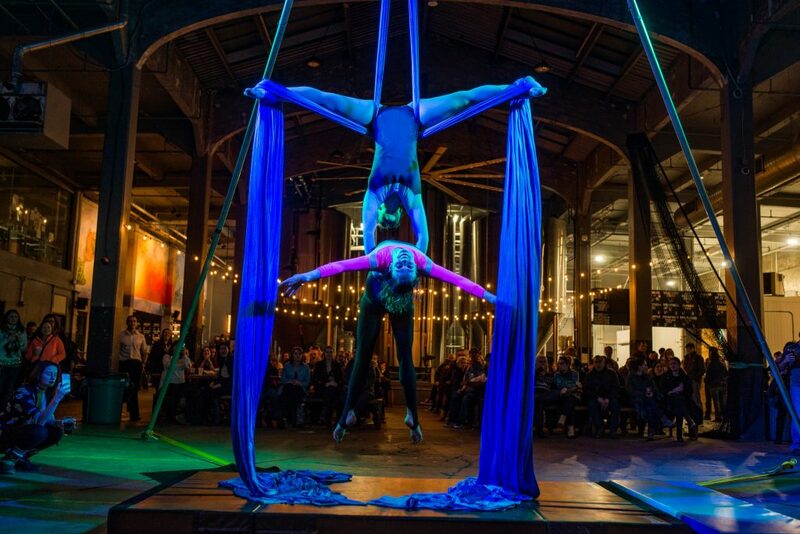 Attendees will be entertained by aerial acrobatics performed on silks and lyra by the Cincinnati Circus Company, along with performances by the University of Cincinnati Dance Team, QKIDZ Dance Team, and the Exhale Dance Tribe. “You’re going to see athleticism and artistry and people move on things you didn’t think they could move on,” says Brandie Atkins from event production at Cincinnati Circus Company. DJs will also be on site, with DJ Alex providing beats from 6 to 9 p.m. and DJ LPete mixing things up from 9 p.m. to midnight. The Sartre Carte will be serving food, and a portion of taproom sales will benefit Mission2Move, a program that teaches the benefits of mindfulness and movement to Cincinnati students. “After learning more about the organization, it seemed like a natural fit [for us],” says Rhinegeist Community Event Manager Katie Hoover. Move will be free and open to the public. Children are permitted to attend until 9 p.m., when the dance and aerial performances will end, and then the event will be 21 and up. Move kicks off a new monthly taproom series at Rhinegeist, where the brewery will host a special event the first Fridays of every month. You can learn more about Move on Rhinegeist’s website or Facebook event page.